Experience a truly unique getaway at Aman Sveti Stefan and when you book your travel across WhataHotel! enjoy Exclusive Complimentary Perks for an extraordinary deal. This amazing resort is located in the Southeastern part of Europe in the country of Montenegro. 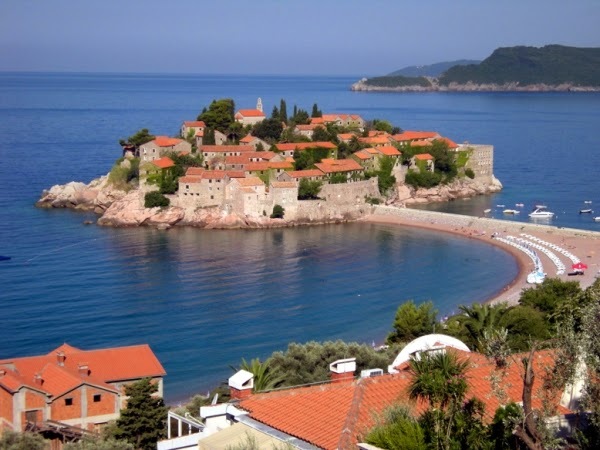 Although this country is not large, the intriguing Sveti Stefan islet is sure to please. Come to a resort that sits atop its very own island surrounded on almost every side by the beautiful Adriatic Sea and revel in limitless luxury and impressive history. Aman Sveti Stefan is a 70 acre property made up of gardens, pink-sand beaches, cobblestone lanes, pretty courtyards and breathtaking views. This area was once a 15th century fortified village but today stands as one of Montenegro's most remarkable settings. Sitting across the tiny island (connected by an isthmus) sits Villa Milocer, the resorts separate Aman Spa. This spa was once the estate of Queen Marija Karadordevic and is 32 hectare of seaside bliss that is surrounded by olive trees and an ancient cedar and pine forest. While the site of the resort is quite spectacular, the resort itself is what attracts visitors to this area. The 58 guest cottages and suites are quite inviting and feature elegant furnishings, modern amenities and historic grandeur. The resort also tempts visitors with a variety of magnificent conveniences to ensure guests are extremely happy. Of course the stand alone spa will entice guests with a brilliant treatment menu and relaxing atmosphere, but there are definitely other fantastic ways to spend your time while here. The resort features a swimming pool on the mainland at the spa as well as two additional pools located on the island. There is a lap pool on the lower terrace and a second pool that is situated on the cliff overlooking the sea. There is a wellness facility located in the spa that is the perfect place to burn off those pesky calories from last nights dinner while the pretty beach tempts guests with options for an afternoon nap. And of course the helpful hotel staff is available to assist with any off-site excursions that might sound exciting. 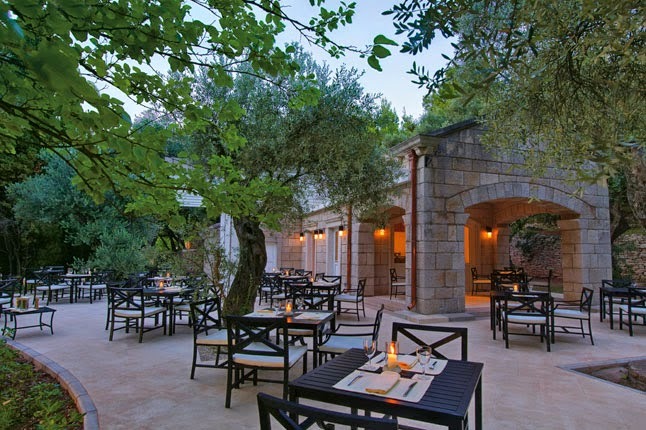 Meals at Aman Sveti Stefan are just as splendid as everything else that guests encounter while here. The diverse dining options include picturesque views and an atmosphere right out of a fairy tale. Whether searching for the great American breakfast or a traditional Mediterranean dinner, this fabulous resort aims to please. 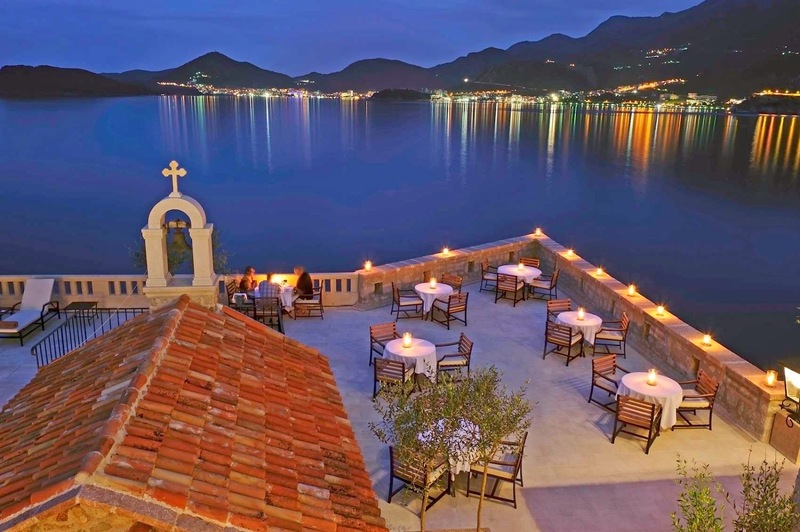 When booking your travel to Montenegro and the lovely Aman Sveti Stefan across WhataHotel! guests can savor Exclusive Complimentary Perks for a magnificent deal. These perks include available upgrades at check-in, a continental breakfast for two each day, one alcoholic cocktail and tapas for two and options for an early check-in and late check-out. Travel to the country of Montenegro and discover a small country that is big on style, culture and beauty. 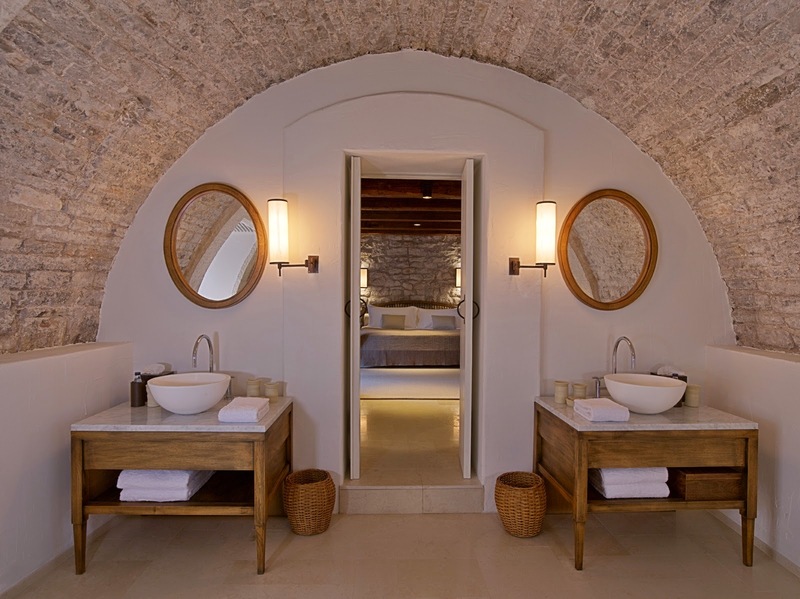 Stay at the incredible Aman Sveti Stefan and get ready to experience an absolutely unforgettable stay.